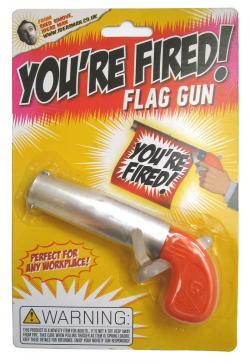 Show a colleague or family member what you think of their work with Shed's ‘You’re Fired’ flag gun. 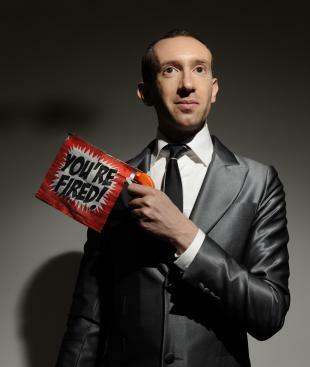 Pull the trigger and the gun bursts open to unfurl a flag displaying the words ‘You’re Fired!’. WARNING: This is a novelty item for adults – it is not a toy. Keep away from Fire. Take care when pulling trigger as item is spring loaded. Enjoy your novelty gun responsibly!